Those who declare they are in business should act like a business from day one. 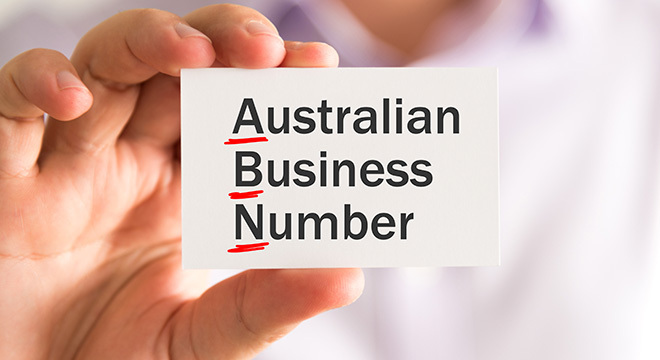 For years, a substantial number of people have obtained an Australian Business Number (ABN) when they were not entitled to one, while some eligible applicants have struggled to get an ABN, or after having obtained one, are struggling to keep it. To some, the ABN has become an entitlement, not a licence granted by the community with rights and obligations. As outlined in our pre-Budget submissions and in our work with the Black Economy Taskforce, CA ANZ has long been concerned that the ABN is being deliberately gamed. The integrity of each ABN is integral to Australia’s tax system, protecting the PAYG withholding base from those who present as contractors but are actually employees, and to help detect phoenix operators. The ease with which an ABN can sometimes be obtained under the current system undermines the integrity of the tax system. Many Australians are aware of the pub-talk: ‘Get an ABN and buy a ute’. ABN applications have often become a ‘product’ offered by online service providers, who do not care whether the applicant actually meets the legislative tests for ABN eligibility. The ABN is just one element of much bigger policy discussions triggered by the Black Economy Taskforce work. ABN applicants should come within ATO data and tax collection systems sooner than is currently the case for PAYG instalments. The proposed new Australian Business Register provides an opportunity to embed new, rigorous integrity controls into the ABN application and registration process. Digital authentication of identity and the use of Director Identity Numbers are also important projects. Regulators should acknowledge the role accountants play in determining the quality of an ABN application. Successful businesses typically start with good foundations: a business plan exists, cash flow calculations have been done, and financing is in place. An ABN application accompanied by an accountant’s declaration that the applicant meets specified ‘ready to start business’ criteria should be given a lower risk rating than ‘do-it-yourself’ ABN applications. Trusted intermediaries can provide ongoing assurance that a business continues to operate in a way that justifies the trust of regulators such as the ATO. Michael Croker is Tax Leader for Chartered Accountants Australia and New Zealand (CA ANZ), a professional body comprised of more 117,000 diverse, talented and financially astute members who utilise their skills every day to make a difference for businesses the world over.